The 4th of July to me is the best holiday of the year. It's sort of like the coming out party for summer and at the same time its this great nations birthday. Usually my 4th of July is spent close to home, BBQing with friends, and topping the evening off with a grand fireworks display somewhere local to our home in San Diego. Well this year we decided to mix it up a bit. 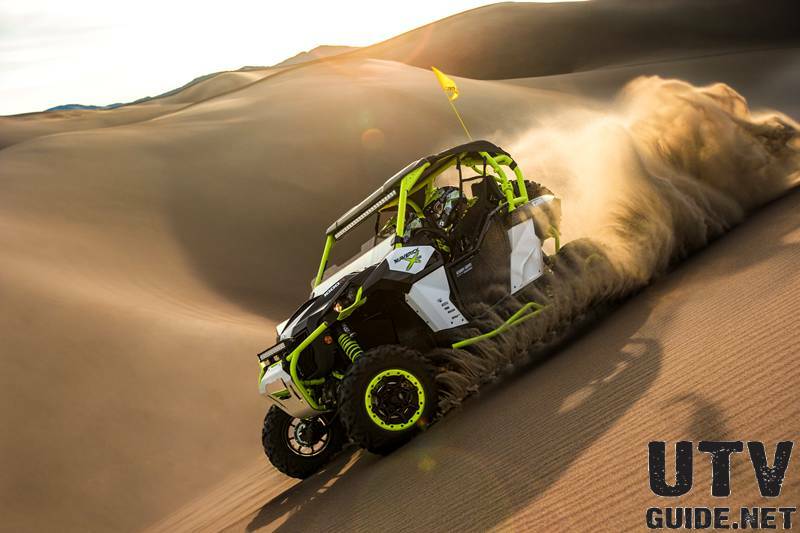 I rounded up my wife and kids, hooked up with our good family friends the Fernandez's and headed on up to Oceano Dunes SVRA for some off road fun on the sandy beaches of California. I have been a bit skeptical of Pismo Beach for the last couple of years. Its a good 5 hour drive for us coming up from Southern California and people have told me that the riding isn't all that great. 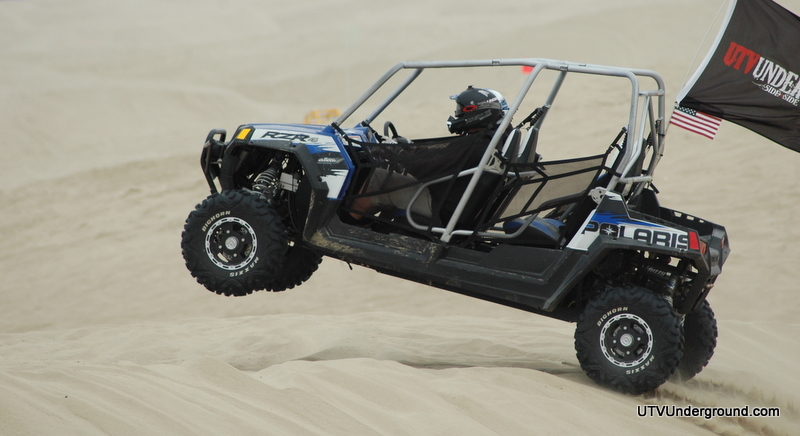 Then again I have had plenty of people tell me that Pismo is awesome and although the Dunes are not large like Glamis it is still pretty epic to be duning on the beach! SO with that said I decided it was time to make up my own conclusion to what I thought of Pismo Beach and the Oceano Dune's. 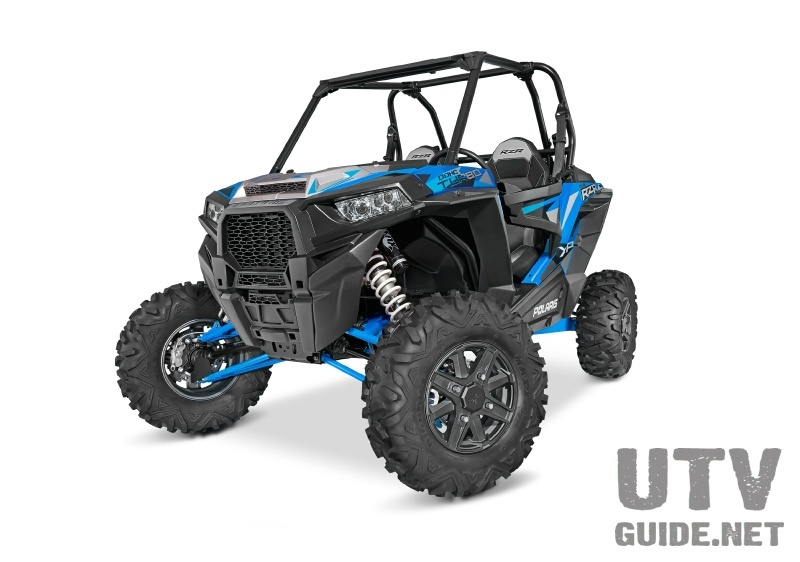 For the trip I brought along our Polaris Ranger RZR 4 Robby Gordon Edition which I had just added a new Pro Armor front bumper and a pair of Baja Designs Soltek Fuego HID's. I had just taken it to Glamis for some night riding but now was excited to get to put a whole weekends worth of dune miles on what I already think is an awesome machine. 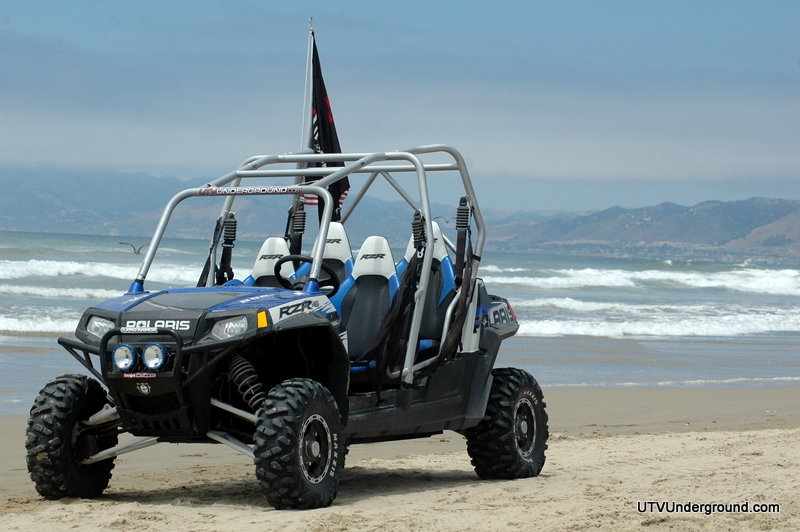 I cant even describe the excitement I felt when we finally rolled onto the beach of Pismo on Friday morning. It just felt awesome to actually be driving on the shore of this amazing coastline knowing that in just a few minutes I would be ripping up the dunes while watching the waves break! After putting the truck in 4wd and airing down the UTVUnderground tow rig to 15lbs of air in each tire we crawled onto the soft sand to the spot where we would make camp for the next few days. 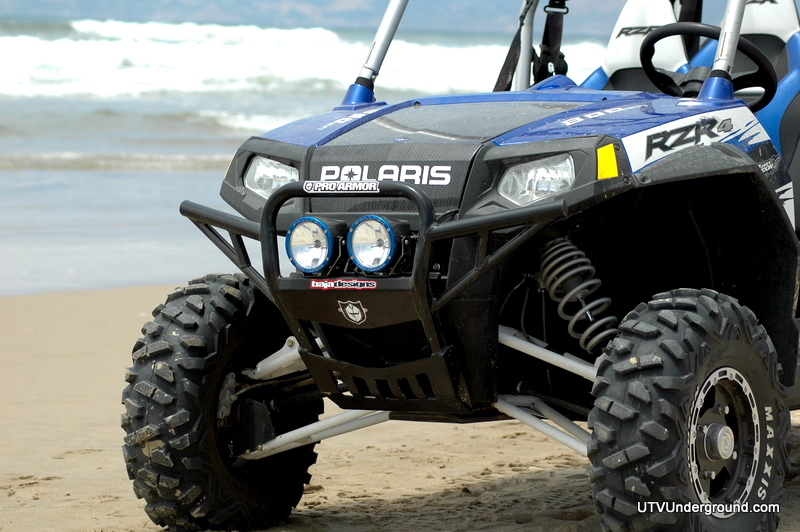 My one recommendation to anyone who heads to Pismo is to make sure you have 4wd! I can't begin to tell you how many people we saw buried to the frames in 2wd cars, vans, and trucks. The sand is soft and the tide comes in quick so be prepared and be smart. The riding in Pismo was a blast. The sand is soft and the ocean backdrop is just amazing. The dunes themselves are not that large and you can cover the entire riding area in a day but one thing no one told me before is that Pismo is a jumpers paradise. What I mean is everywhere you look is a lip to boost off of and that's exactly what we did. We found some fun hills to play on and overall I thought the riding was awesome. Sure it would be nice if it was larger or if the closed sections were open but considering we were on the beach in 75 degree weather and not riding in 110 degree weather it made it all that much better. 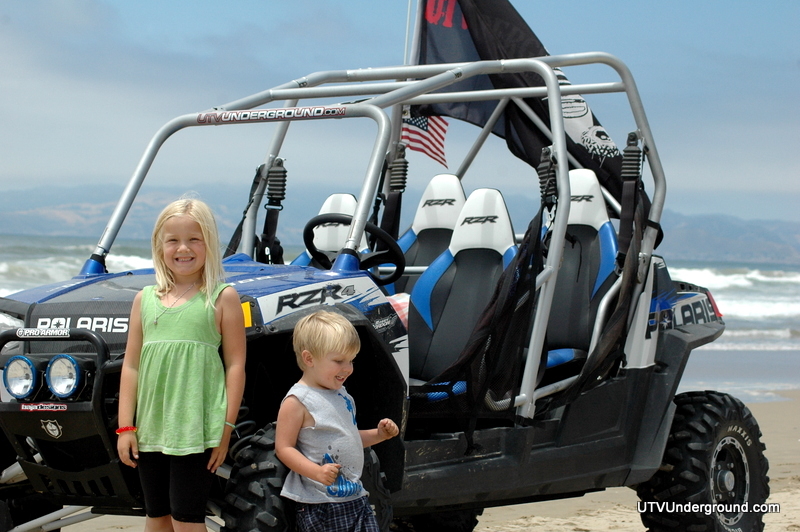 In between riding we took the kids to the shore, in the RZR4 of course, and looked for sand crabs and clams. The kids played in the water while the adults enjoyed beverages and snacks. The evenings were filled with BBQing and of course FIREWORKS! I really enjoyed Pismo, it is a place I plan to attend at minimum once a summer. 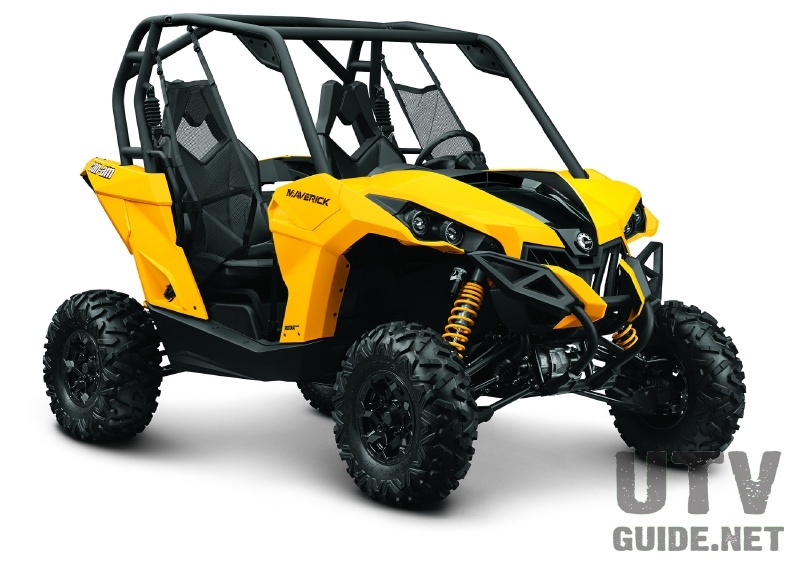 Next time I hope we bring a convoy of UTVUnderground UTV's to run around in!